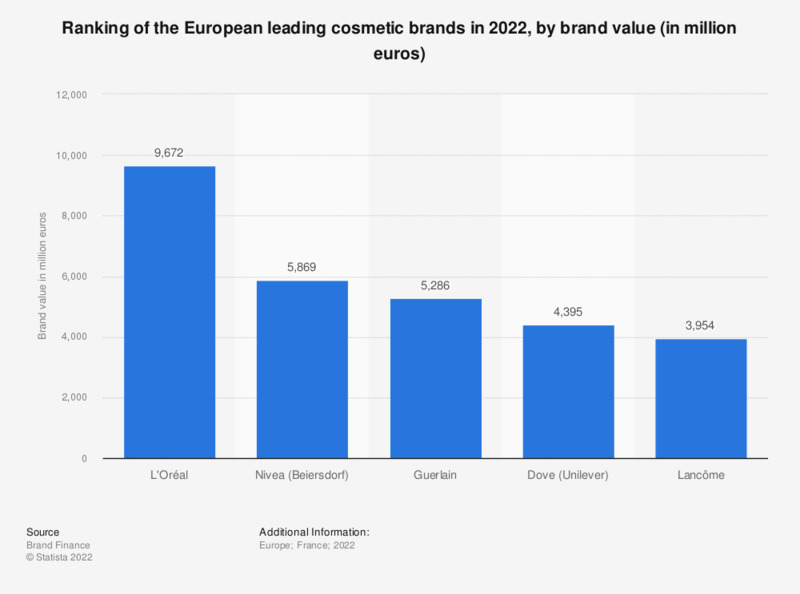 This graph depicts a ranking of leading cosmetic brands in Europe in 2016, by brand value. The brand value of L'Oréal Paris exceeded 13.6 billion U.S. dollars, compared to approximately six billion dollars for Nivea. Texts between brackets represent the parent company.